Named “The Kidz Shack”, the salon hosts a variety of entertainment like computer games, popcorn, TVs and even slushie machines are available for kids whilst at the salon. Wanting to include every child and make the salon an enjoyable experience, the creator of The Kidz Shack, Kenny Parker, sought the help of local ASD family support group, for advice on helping kids with autism. 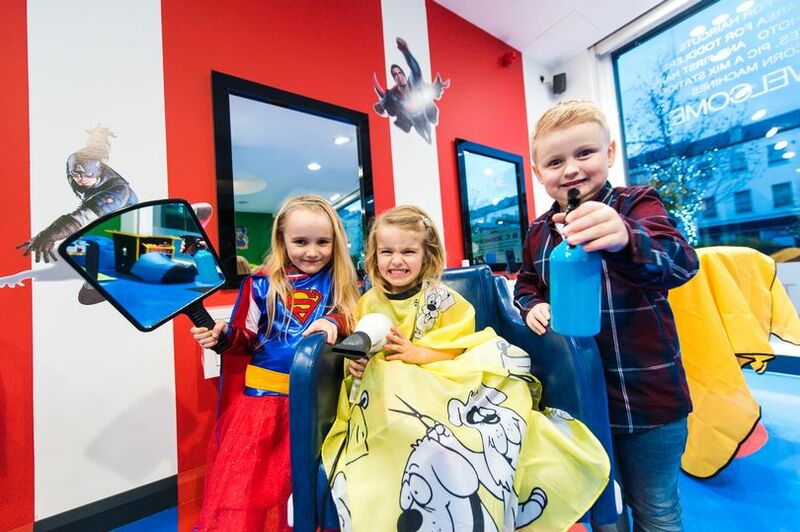 The salon not only treats kids to a special certificate if it’s their first visit – along with a temporary Kidz Shack tattoo – but it also houses a Photo Booth for both parents and kids to capture their new looks! We’re left wondering if the Kidz Shack wouldn’t mind booking us in for a visit!? What do you think?